The semifinal round for the Goodreads Choice Awards 2016 has started and I just wanted to take this moment to write about and highlight some favourites. Obviously you can only vote for one, but I hope you find some new reads. I’m only sharing the categories and books I’m interested in, but make sure you check out all 20 categories and vote here. Voting ends in three days (November 13). I haven’t read any of these but have heard good things so they’re all on my TBR shelf. A Darker Shade of Magic by V.E. Schwab is one of my favourite novels so I couldn’t not vote for its sequel A Gathering of Shadows. City of Blades and Cursed Child are also on my TBR shelf. 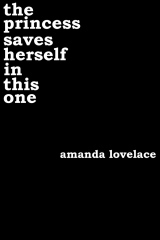 I haven’t read The Princess Saves Herself in this One by Amanda Lovelace but have heard so many good things about it. I’m a huge fan of the author’s book blog. I loved Rebel of the Sands by Alwyn Hamilton and have heard really good things about The Girl from Everywhere, The Reader and The Star Touched Queen! I personally voted for The Girl from Everywhere so I hope you vote for that one too, but the rest are great choices. So this category has a lot of good books and a lot of NYT Bestselling, big name authors. I’m really proud of Julie Eshbaugh, her debut Ivory and Bone made it among authors like Sarah J. Maas, Leigh Bardugo and Victoria Aveyard. I was talking to Jodi Meadows on twitter, the author of My Lady Jane and The Orphan Queen (really good duology!) and she was really surprised to see My Lady Jane had made it into the semifinals. Even though ACOMAF was technically my favourite book, I decided to vote for My Lady Jane because I knew a lot of people would be voting for SJM. I’d love to hear what books you voted for or if any of your favourite books made it to this round.